His most recent role was as the Program Secretary and Treasurer of Mentor Volunteers Uganda (known as CCALP-Uganda) a non-profitable children support organization in Uganda since 2007. Mukasa Job Samuel is now the Executive Director and responsible for Pearl Child Care Project-Uganda and other Project venues. He also coordinates the Project Volunteer Partners and donor development for Pearl Child Care Project-Uganda (Uganda Education Project) and serves on the Board of Directors for Extreme college secondary school and Nansana community primary school. Musinguzi Johnson: Assistant Executive Director. 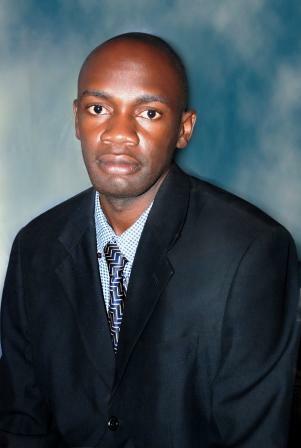 Mr. Musinguzi Johnson is Assistant Executive Director of Pearl Child Care Project- Uganda. For the past 6 years he had a strong concern for orphans and vulnerable children in those communities affected by HIV/AIDS. His desire for disadvantaged children led him to combine with his friends to initiate Pearl Child Project-Uganda a non-profitable children support organization. He has worked with several institutions like Makerere University where he worked as a Part time clerical worker from May 2 002 to December 2004 in the finance department. I worked for world food program Gulu office from September 2005 to November 2005. Further still I worked for Uganda chartered health net, an organization located in college of health science Makerere University as a research officer from Octobe r 2006 to November 2006 and also from February 2007 to March 2007. He also worked with infectious disease research collaboration from May 2008 to August 2009 as a research assistant. He holds a bachelors degree in Social Sciences from Makerere University and also has attended trainings in counseling, reproductive health, and Behavior change and communication from Reproductive health Uganda. Mr. Musinguzi Johnson is the Assistant Director of pearl child care project-Uganda and is in charge of designing plans for the organization and looking for donors or sponsors to help supporting the orphans, Vulnerab le, and the abandoned children in the organization. Kyebalaba Titus is the Executive financial controller for pearl child care project Uganda. Titus was brought up as an orphan by mission for all (MFA) for the Anglican church of Uganda. The support and care that was given to him by (MFA) inspired him to partially volunteer/work and help in the financial management with pearl child care project Uganda on the ground to ensure a high degree of accountability, transparency and sustainability of the project. We cherish every fundraiser, patron and representative country offices that supports the many orphans, abandoned, and vulnerable children and disadvantaged children in Uganda under the care of Pearl Child Care Project-Uganda (Uganda Education Project). You are invaluable to us. we will be happy to supply you with additional tools to assist you with your fund-raising endeavours. Pearl Child Care Project is positioned to help transform the lives of the orphaned children and vulnerable children, abandoned and disadvantaged ones. To facilitate the support of international partnerships, Pearl Child Care Project-Uganda seek to establish several representative country offices around the globe, i.e. Canada, USA, Australasia, UK, Scandinavia, Hong Kong and more… Each country office is regulated by a specific Board of Directors. The country specific Boards are the overall policy and a regulatory organ of pearl child care Project (Uganda Education Project) in each country and ensure good practice at all levels. Pearl child care project-Uganda “Uganda education project” Seek patron(s) the non-Executive member(s) who shall be a respected person(s) with proven integrity and dignity preferably by the Executive Committee .